Have you ever heard you or your homeschooling friends talk about what they are doing to prepare for being the homeschool mom? Not likely, because it is more fun to think about different books, a perfect schedule for your child to be the perfect student and more importantly, putting the defeats of last year behind you. 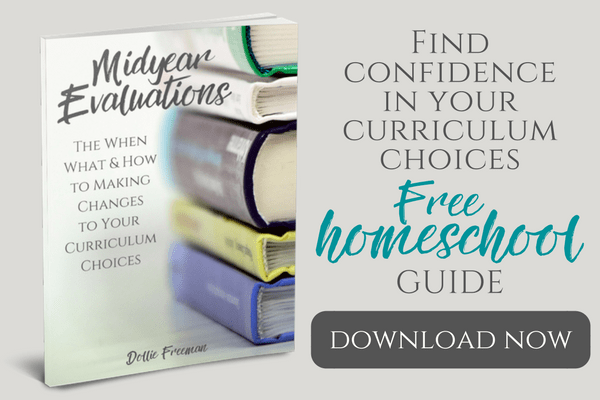 From my 15 years of homeschooling, I found that the years that are my best years are the ones that I put time into preparing myself as a homeschool mom. Pray for Wisdom – Each of my children are unique in their learning styles and needs. Although I think I know my children best, I realize that their Creator knows them far better than I do. Seeking wisdom from God about the needs and direction for my children is something that if I fail to do first, my year crumbles before Christmas. (I can almost hear you saying how true this is for you, too) When I seek God's wisdom for my children, it is amazing the progress one year proves to see in even my struggling learners. Invest in Resources to Help You be Your Best – I laugh so much when I hear about ‘how much patience I must have to homeschool'. Just ask my children about my level of patience. As their teacher in every aspect of life, I need to invest in my learning almost more than I do theirs because my shortcomings will become theirs, but my enjoyments will oftentimes become theirs as well. When I invest in resources of how to help me be my best in all my areas of life, I grow as a person, a wife, a mother and a teacher. 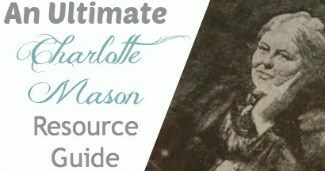 The Build Your Bundle sale is only a limited time sale, but it has some great resources like what I'm talking about investing in to prepare as a homeschool mom. Organize Your Day with a Routine – If you are like the old me, you may write out your day to the minute and what you expect from each of your children and yourself. Get real, like I did! My children are people and our home isn't perfect, so creating a schedule like that is only setting yourself up for failure and disappointment because you can't reach what you thought would be great. Instead of that, organize your day with a routine, without putting times on the schedule. Focus on what you want accomplish and what makes sense to the flow of your home to do right after that first thing is done. A working routine is magical to a family, especially those with younger children because they thrive on routines. This means you will be more prepared for the distractions that are only bumps in your day, instead of your whole day being ruined because the clock says you missed things. Set Boundaries that Will Ruin Your Day – I have often times found myself having a hard time getting out of the routines of summer, like sleeping later, talking on the phone in the morning or getting on the internet. When I set boundaries in place and have accountability, I'm amazed how prepared I am and how amazing our homeschool year goes. Identify Your Obstacles – You know your home and each home has obstacles. 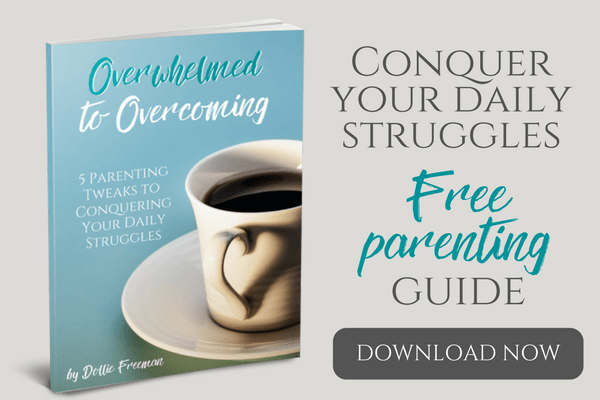 If you take time preparing for these obstacles, you will be able to conquer what could easily ruin your whole homeschool day or cause more issues than you can handle in your homeschool. Some obstacles that I found when preparing are: hungry before lunch time; interruptions from younger children; attitudes from school aged children; lack of attention and bad days for mom. Once I identified these obstacles, I was able to find solutions and implement them with success. I started making healthy meals for breakfast and we were able to make it to lunch. I taught my younger children the interrupt rule in the summer so they knew it by the start of school. If my children showed an attitude with their assignment, I gave them more to do in their free time and they had Daddy to deal with in the evening. I removed the distractions that were causing the lack of attention, used a timer to ensure shorter lessons and started praising my children a lot more. Some days I just needed to be a mom, not a teacher and because I needed to be both on days when I struggled to be nice to anyone, I would use resources that I purchased for teacher's day off. They would watch educational DVDs, while I just sat beside them, learning along side them and other days we just headed to the park for a nature walk. Designate Chores for Your Child – I teach my children at a young age to help with chores around the house. I hear of moms with children nearing their teens that do not do much around the house and I'm not surprised when she is stressed, tired and depressed. Each child can be doing something to eliminate some of the chores around the house. Prepare designated chores for the children, so you can put your attention on things that they can't do, like…. Plan Your Meals – It is a lot of work to plan your meals for breakfast, lunch, snack and dinner. 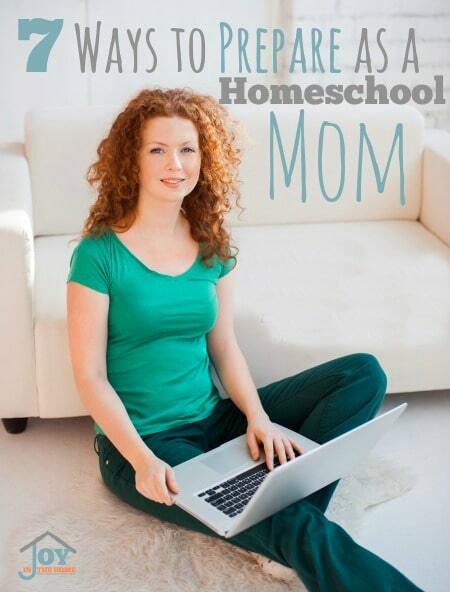 However, this is one of the best investments you can do to prepare as a homeschool mom. In addition to planning, you also need to do a grocery list, shop and prepare the meals. Using a slow cooker and rice cooker is essential to my home schooling success and until my children are older, this is something that I do on my own, with a little assistance at meal times. You will quickly see that these seven ways to prepare as a homeschool mom will be so important that you will almost always do these things first, before you have even started to purchase things for your children. When you do this, you will see the fruits of this time spent and the rewards will be priceless for your homeschool year. 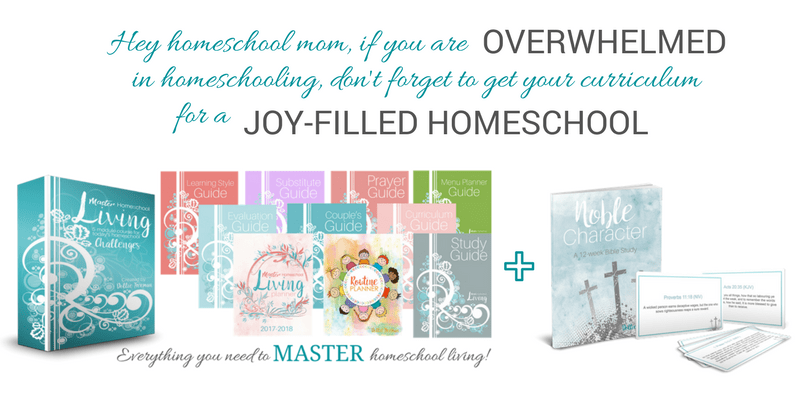 I would like to personally invite you to join my course Master Homeschool Living. Enrollment ends August 7th, so don't wait!